That’s why one of my New Year resolutions was to write the acceptances in the end. Sorry for being so late. I’m a very bad cat. So, long ago I was nominated for this award by a wonderful blogger Mastress Alita, whose amazing Cat Chronicles I adore so much. Don’t forget to check her wonderful Short Stories and Teatime Tuesday as well! Yes, Pets of course! There aren’t Pets in The Sims 4 yet, so I love Granite Falls – because of Bears. Scarlet Sails by Alexander Grin – a marvellous story of everlasting love. It’s funny but I still love fairy tales – folk fairy tales, fairy tales by Wilhelm Hauff, brothers Grimm, Charles Perrault, plays by Yevgeny Schwarz esp. his Natural Wonder (a story of a Bear and a Princess), as well as Harry Potter (books and films). I also love romance like Gone with the Wind. Yes. This one. It’s about nowadays kids and their great-grandfathers, who didn’t return from the war. Listening to it I recall my grandfathers, whom I never saw – they were killed in World War II when my parents were toddlers. If only I could, I would travel all over the world. The Sims, cats, gardening, making videos, music. The Bear in Natural Wonder. Angry bees potion. It always helped me in the Sims 3. Not all of my nominees write Sim Stories. Moreover, not all of the blogs relate to The Sims. But in the rules I haven’t found anything against that. 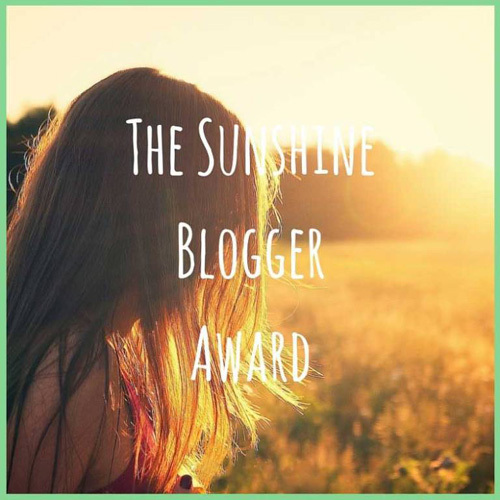 So I hope that’s OK. As all of these bloggers bring sunshine into their readers’ life – with their Sim Stories, with their Sim creations, with their blogs full of optimism and happiness. What does The Sims mean for you? If you met a fairy, what three wishes would you ask her to grant? Fairy? Vampire? Mermaid/Merman? Witch? Unicorn? Dragon? – What would you like to be? Have you ever been to Russia? Would you like to go there (again)? What are five flowers you love most of all? Imagine: it’s rainy and cold. What are you going to do? Posted on January 11, 2017 January 11, 2017 by chealsycatPosted in AwardsTagged Awards, love, Russia, sunshine, the Sunsine Blogger Award. Chealsycat, thank you for the nomination! I’ve never read Scarlet Sails, but it sounds good. And the goats, Cody and Zach, on Mum was right about the goats, are so cute!! That is a fun blog too. What are you playing and writing these days? It’s old but still beautiful. Thank you very much sweetie for the nominations. You are so beautiful and kind my sweet friend! Thank you so much for the nomination!! 🙂 I’m so honored. I’m sorry it’s taking me so long to get my acceptance up but I am working on that as we speak.